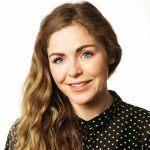 Sinéad Finnegan joined the DCU Educational Trust in August 2018. As Communications and Events Executive she is responsible for supporting the Communications and Events Managers with the development and implementation of all communications and events carried out by the Trust. Before joining, Sinéad worked as an Account Manager in Teneo PSG, one of Ireland’s leading PR and Sponsorship agencies. Sinéad is a current member of the Dublin Senior Ladies Football team and she holds a BA in Gnó agus Gaeilge from DCU and completed a Post Graduate in Léiriú Teilifíse from Waterford Institute of Technology.